We must go back to the middle 19th century, more precisely to 1855, to begin this story. In that year the source called La Victoria was discovered, which forms the thread of our story throughout all the years since. 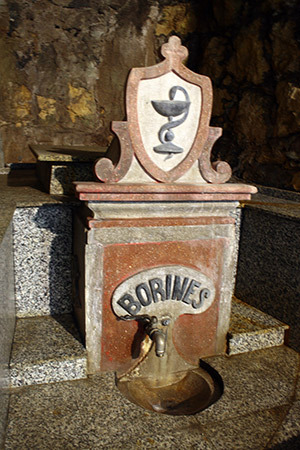 The properties of this mineral-medicinal spring water were soon discovered and after some early years of precarious exploitation, in 1892 Borines Spa was opened. 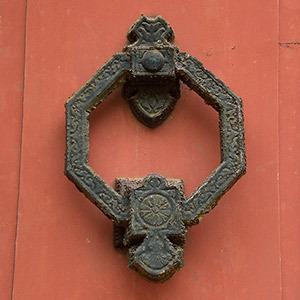 Housed in a comfortable, elegant building with all the conveniences of its time and a capacity for 100 people. It was a great event at the time and was visited by celebrities from the world of culture and politics. It was reported by both the local and national papers, and appeared in many articles in the press. The opening of the spa coincided almost exactly with the inauguration of the train line from Oviedo to Infiesto and soon after to Villamayor, whose station became known as Villamayor-Borines. Thus began a period of splendour. For a number of decades it was a centre of wellbeing, receiving distinguished visitors and people who travelled there for the quality of its water and treatments. In the year 1920 it started specialising in bottling the mineral water, leaving behind the spa hotel. In just a few years its bottled waters gained widespread prestige and renown, winning many prizes and international acclaim. Borines spring produces naturally pure and healthy water. A soft mineral water which is bottled at source as it comes out of the ground, with no chemical of microbiological treatment. It is marketed solely in glass bottles providing a guarantee of quality and respect for the environment. Water covers 71% of the Earth’s surface, which coincides with the proportion of water in our bodies. In beer this proportion is between 85 and 92%, constituting its largest element. Precisely because of this, in the production of Ordum beer water becomes such a vital component. The choice of raw materials that we use in the making of a beer is key. Production may be simple from a mechanical point of view, but the complexity lies in the way each step of the process depends on all the others. It is a chain of chemical reactions that must be understood, both to design the recipe and to manage its development.Raising or lowering temperatures during fermentation, adding more or less barley, adding malt and mashing are all relatively simples procedures. The difficulty is for all these decisions to achieve a perfect communion so we obtain the beer that we desire. In this process no one part can be treated on its own. Boris de Mesones is a Master Brewer of VLB Berlin, judge in competitions such as the World Beer Cup and the European Beer Star, and above all a passionate professional who has spent many years dedicating his time and effort to the world of beer. He explains that “in the ancient world it was said openly and quite rightly that the secret of good beer is in the quality of the water, though they knew little of the minerals contained in it or its effect on the pH, malt enzymes and mashed cereal. As water began to be analysed and people started understanding the positive or negative effect on pH of minerals with different ion charges, they began to modify it with salts so as to adapt it to the requirements of each type of beer. A higher pH extracts the polyphenols and the bitterness from hops and from the husk of malt barley. The resulting beers are rougher on the taste buds and are less drinkable”. 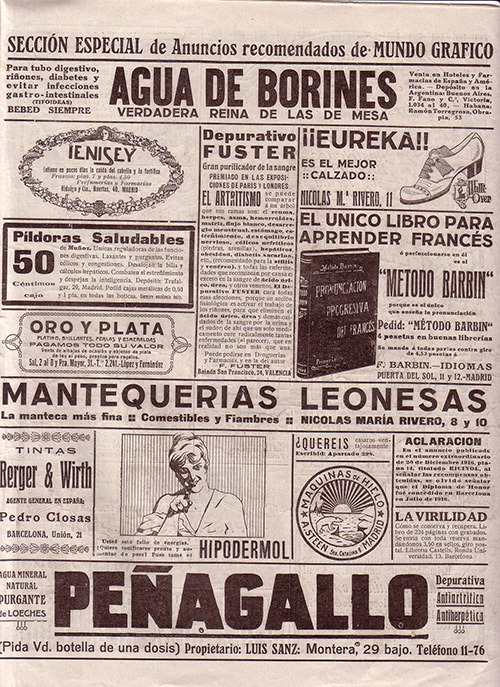 “In the case of ORDUM beer, Agua de Borines proves excellent for its production and its characteristics”. “En la antigüedad se decía abiertamente y muy acertadamente que el secreto de las cervezas está en la calidad del agua”. A medida que se fue analizando el agua y entendiendo el efecto positivo o negativo de los minerales con diferentes cargas de iones sobre el pH, se empezó a modificar con sales para adaptarlo a cada necesidad dependiendo del estilo de cerveza.